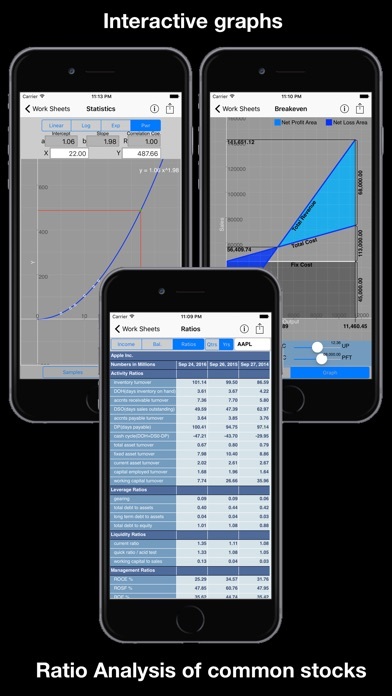 10BII Calc HD is a business calculator featuring over 100 built-in functions for business, finance, mathematics and statistics. 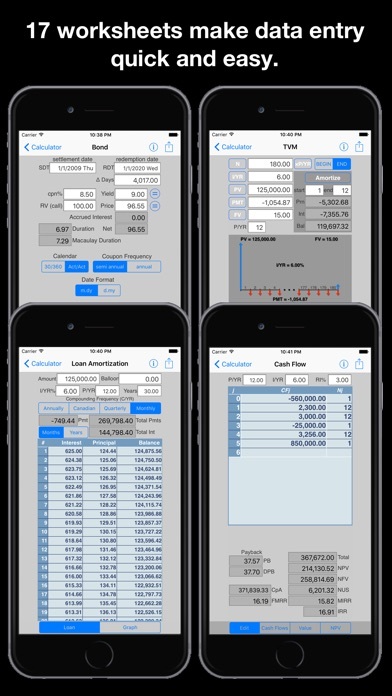 Easily calculate loan payments, interest rates, amortization, discounted cash-flow analyses, TVM (loans, savings, and leasing), bonds and depreciation using a simplified algebraic entry system. 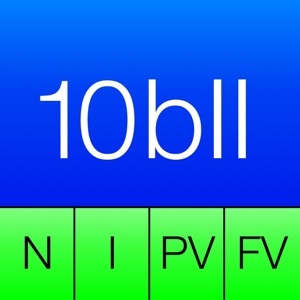 The keyboard and display have been carefully optimized for the iPhone, iPod Touch and iPad. 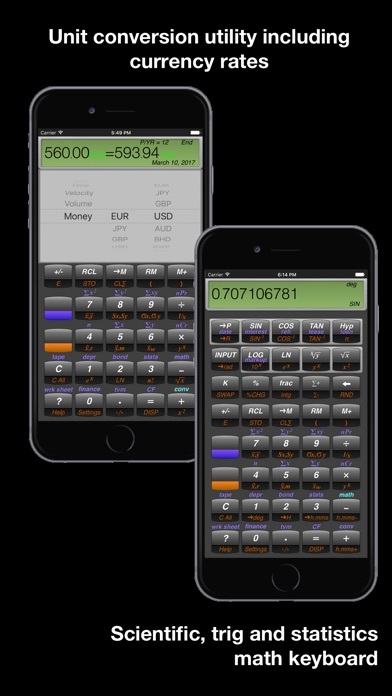 Two keyboard layouts and multiple specialized worksheets allow you to do much more than a 10BII calculator while maintaining compatibility with the standard. "Last week I had a meeting with my accountants and my bankers. We were working on the pro forma balance sheets and cash flows for a new project I'm working on. They were all asking why I had switched to the iPhone for I used to be a die hard "brandX phone" fan. I said that one could do so much more. 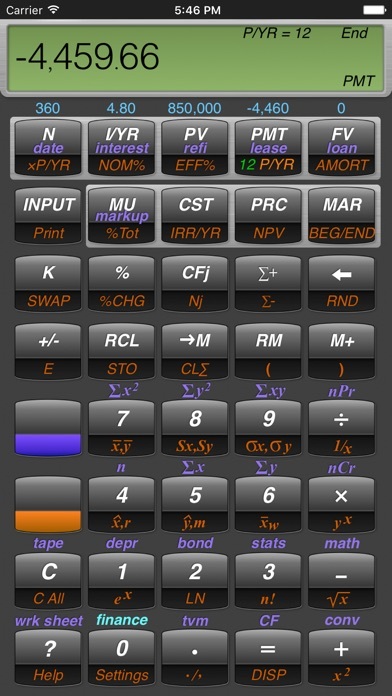 They said "yea...sure" (they were all using "brandX phones") until I started using your calculator. 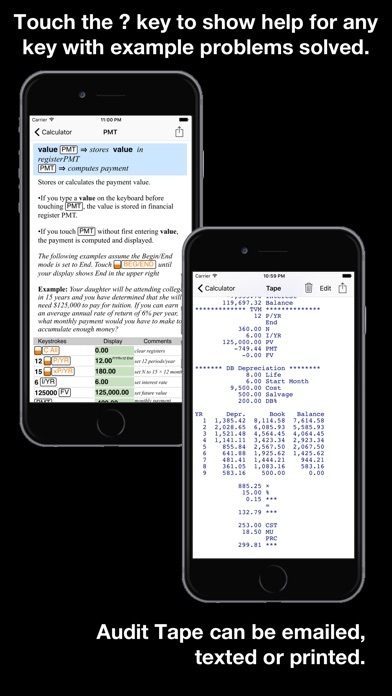 We were analyzing different payment and amortization schedules. They were so impressed by how easily we could figure out the amount of interest, principal and remaining loan balance for any certain period or combination of periods that in the end they were saying "I have to get me one of those".